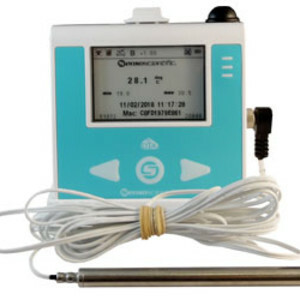 The model B10 Temperature WiFi Data Logger monitors temperatures of vaccine, blood and food fridges easily and wirelessly. Records store to the cloud and can be retrieved at any time from anywhere with internet access. The easy-to-install, WiFi-enabled, bespoke data logger is installed in over 1000 hospitals and medical centres. Alerts are sent in real time via email, SMS and voice call, and also locally with a buzzer alert. If an alert is not acknowledged then the alert escalates and is sent to another list of contacts until someone responds. The data logger is battery backed in case of a power failure. 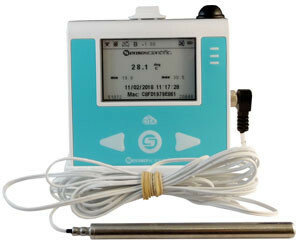 I am interested in HLP Controls B10 Temperature WiFi Data Logger .